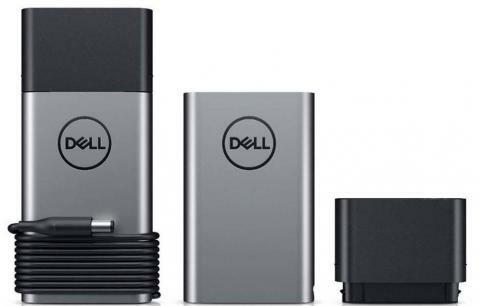 Dell has had to recall certain versions of its portable charging device, the Hybrid Adapter + Power Bank, because of the risk of electric shock. Apparently, the casing of the black adapter part of the accessory can break, which in turn exposes metal components that could pose a hazard. Dell has already received 11 reports of this occurring. A report on the website for the US Consumer Product Safety Commission (US CPSC) has detailed how Dell has decided to recall potentially faulty Hybrid Adapter + Power Bank devices. 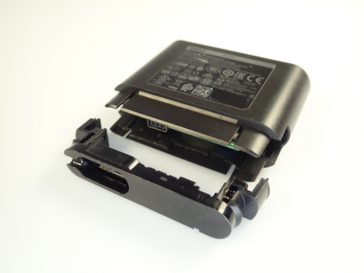 The accessory, which can be used to charge a laptop at an outlet or on the go, comes in two parts: the silver power bank and the black hybrid power adapter. There have been reports of the latter module’s case breaking or becoming detached, leaving exposed metal parts. Fortunately, there have been no reports of injuries so far. 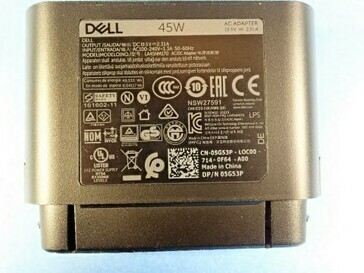 If you have a Dell Hybrid Adapter + Power Bank with this code, then you should stop using it immediately and contact Dell, who will replace the possibly faulty product. An estimated 8,900 units in the USA could be affected, with a further 475 sold in Canada. 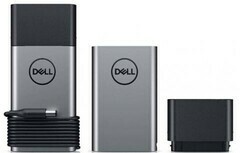 The modular charger (a newer version) is still listed on the Dell website, for a price of US$119.99 at the time of writing.